"I'm quite impressed in this hotel design and interior decora..."
Have a question for Nadee 10 Resort & Hotel? "Clean room , Nice pool,Great staff"
"Staffs were with superb service mind." Whether you're a tourist or traveling on business, Nadee 10 Resort & Hotel is a great choice for accommodation when visiting Khon Kaen. From here, guests can make the most of all that the lively city has to offer. With its convenient location, the property offers easy access to the city's must-see destinations. 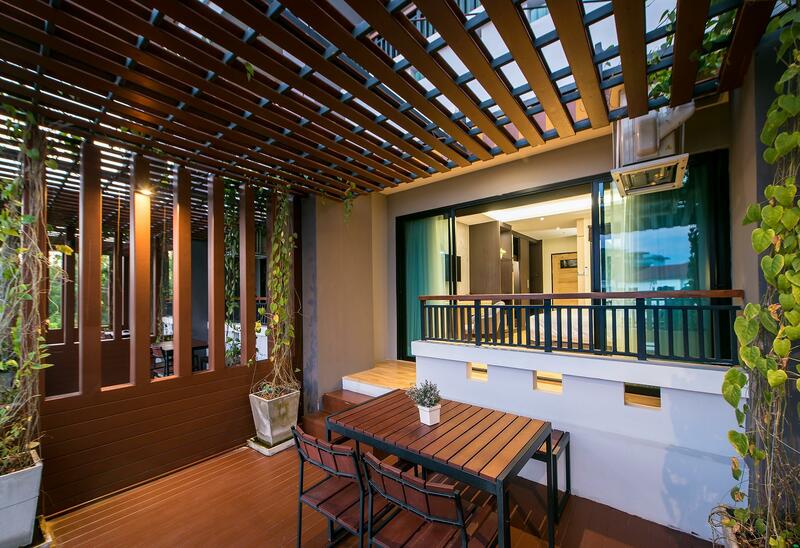 Take advantage of a wealth of unrivaled services and amenities at this Khon Kaen property. Guests can enjoy on-site features like free Wi-Fi in all rooms, 24-hour room service, 24-hour security, shrine, daily housekeeping. Experience high quality room facilities during your stay here. Some rooms include flat screen television, complimentary instant coffee, mirror, slippers, sofa to help guests recharge after a long day. The property offers an excellent variety of recreational facilities, including indoor pool, massage. Nadee 10 Resort & Hotel is a smart choice for travelers to Khon Kaen, offering a relaxed and hassle-free stay every time. Nice hotel with friendly staff. Great hot shower, soft beds and soft pillows. The breakfast was also good. We stayed here for one night so we don't know if it is a good location. It is close to Ton Tann market. You can ask for a taxi at the lobby. The hotel located is in the alley but there's no problem at all you can use Grab taxi or staff can provide taxi meter for you. Modern bedroom and bathroom, lovely pool area especially at night. Breakfast was great and staff were nice and helpful. I travel a lot for business purpose, all around Thailand. I'm quite impressed in this hotel design and interior decoration. They use fine material for most of things. They even invest in real silent A/C and luxury-look fridge. I got a deal from Agoda for 1,128 THB in total. Breakfast is included and everything is perfect. They serve bacon!! and salad bar with restaurant grade veggie and dressing. Staffs are nice and helpful. I'll give 9.5 out of 10. Minus 0.5 due to lack of q-tip and milk. Hotel is spotless clean, staff are excellent. Only complaint and it's very minor is that there is not 2 chairs and a table in the room if you order room service. Apart from that excellent place, breakfast very good. Excellent location and hotel, beds are super comfortable and hotel is well looked after, the staff where outstanding and super friendly. Facilities are all reasonably new. If anything the breakfast could be a little more diverse, better, but no means terrible. Little hard find off main roads. Easy to check in . On warm night aircon dosent cool . food was bali style limited and for non locals so only had one meal there. Quite noisy hear up stairs . It was quite marked up for a new place . Forget the Pullman and the other the big name hotels in Khon Kaen...this is the way to go now. Third of this type of new modern boutique hotel I have stayed. Top quality Fitout. Tv bed bathroom etc. Buffet breakfast is great not huge selection but the quality of the food is superb. Just a little bit seculded from the main highway near the night market but upside Quiet. Nice little place and very clean. Good guesthouse. However, I suspect there is a little racket going on with the local star and moon cab drivers. But I can't prove anything. Be vigilant. Staffs were with superb service mind. Rooms are clean and newly bulit. Breakfast selection was fine. The front desk are nice people. Unfortunately their English level was not very high. They also knew very little about city transport bus, train, station, etc. Taxi they called for me was also problematic as the driver was miscommunicated by hotel staff about where I wanted to go. The location is a bit off the center as well. Very clean and new facilities though. everybody here seems very friendly and quick to greet you. you will need transport to get around, however there is a great market 5 mins away by taxi only 60 baht. small choice for breakfast with fresh eggs cooked to order, fruits bread etc the usuall stuff, perfectly adequate. rooms are clean and new with small balcony not great view. pool area is quiet and pretty cool to hangout or have some food. the water too cold for my daughter though. The room is clean and hotel design is good feel of resort. As long as you have your own transportation this is a great hotel. Clean, modern and friendly. Would stay again. Breakfast is basic though. Some additional photos of hotel surroundings would help to choose the hotel more easier.